Each stone represent each planet or star and its vibration which is magnified by the power of clear quartz crystal. 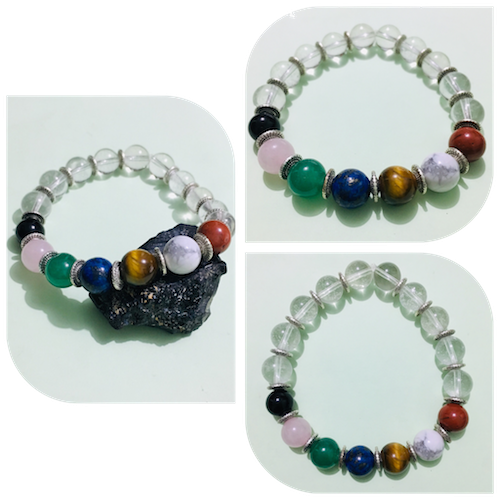 Benefit from the power of the 7 celestial bodies through this one-of-a-kind charm bracelet. Each stone represent each planet or star and its vibration which is magnified by the power of clear quartz crystal.